Due to forecasted inclement weather, including high winds and heavy rain, the tailgate will run from 10 a.m. to 2 p.m. and personal tents will not be allowed in the tailgating lot. Come home and celebrate with us. Homecoming is just around the corner! No matter how far you've gone or how long it has been since you last stepped foot on campus, returning to TCNJ is definitely worth the trip. We look forward to seeing you, sporting your Blue and Gold pride! Registration is required for all alumni and guests. Current TCNJ students are not required to pre-register. Bring the family or meet up with friends and feel at home again. Catch performances from current students and grab some food before heading to the game. Bring your food to Parking Lot 4 for some TSC/TCNJ camaraderie! 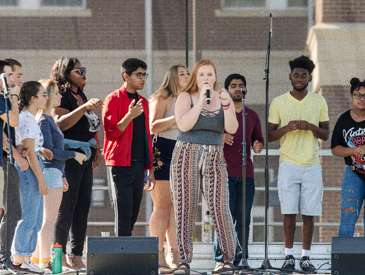 Enjoy family friendly performances, inflatables, and games on Metzger Lawn. Student groups rep their campus pride! Giveaways, athletics, and performances. Deciding that you’re coming to Homecoming is easy, but planning for the day may take a bit more information. We’ve answered the most commonly asked questions to help you out. Homecoming will occur rain or shine! How do I unload my tailgating gear? 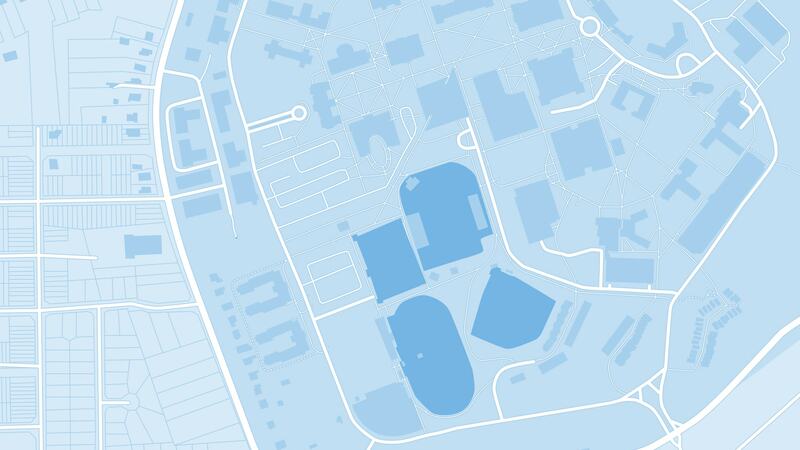 Upon arrival, campus police will direct you to drop off locations. Golf carts will be available to assist with large and heavy items. Where can I find full tailgating guidelines? Yes, the MainStage component of Homecoming will include family friendly activities for your enjoyment. How do I find updated MainStage and Spirit Week schedules? 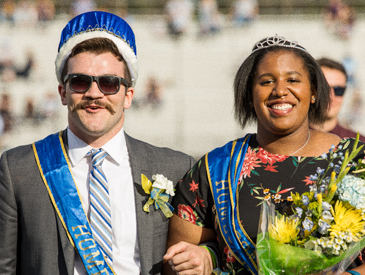 As activities and performance schedules are finalized, the Homecoming website will be updated. Check back often! How do I find out about athletic events? Visit the athletics webpage for updates on schedules and ticket information. A list of authorized parking areas around campus on Saturday, October 27th. A list of recommended hotels and inns in the Ewing, Trenton, and Princeton areas. Offer valid in store only. This coupon can be redeemed for 25% off all full price TCNJ apparel and gifts that have both blue and gold on them. Offer not valid on textbooks. Offer cannot be combined with any other promotion or discount. Coupon is not redeemable for cash. Exclusions may apply. See bookseller for details. Offer valid 10/26/18 - 10/27/18 only. Calling all Lions! All alumni, students, families, and friends are invited to join us for a fun-filled day on October 27th. Wear your blue and gold and join us in Lot 4 as we celebrate Lions Pride! Let us know you’re coming! All alumni who register will receive a free t-shirt while supplies last. Upon arrival, stop by the check-in tent in Lot 4 to receive your free t-shirt. Bring your favorite foods and sealed non-alcoholic beverages into the tailgating area as we celebrate Homecoming 2018! Fire up the grill! Both propane and charcoal grills are encouraged. For the safety of all participants, there will be a designated charcoal grilling area with receptacles for the disposal of ashes. For your enjoyment, beer, and wine will be available for purchase from 11 AM – 2 PM through a third party vendor to guests 21 and older. Guests should bring ID and will be able to purchase two drinks per transaction. Food and beverage sales in Lot 4 will be cash only. Check out all the campus improvements and feel free to explore a number of additional dining options located throughout campus. Add to the fun with your favorite songs! Feel free to bring small music devices. Please be courteous to your neighboring tailgaters and keep the sound to a reasonable level. DJs, amplifiers, microphones, generators, and/or mounted speakers are not permitted. For the safety and well being of all guests, campus police will have oversight of the day’s activities. Security will be on hand to check bags and IDs. Please be mindful that alcohol, funnels, glass bottles, fire pits, generators, drones, and pets are not permitted. Solicitation or distribution of items is not allowed. Join us in keeping TCNJ’s naturally beautiful campus looking great! Please be sure to use the trash and recycling receptacles located throughout campus. Due to forecasted inclement weather, including high winds and heavy rain, the tailgate will run from 10 a.m. to 2 p.m. and personal tents will not be allowed in the tailgating lot. The safety of all attendees is our first priority. Upon arrival to campus, make sure to stop by the alumni check-in tent to pick up your free t-shirt while supplies lasts! MainStage activities, which includes games, inflatables, and face painting, will take place in Brower Student Center room 100. 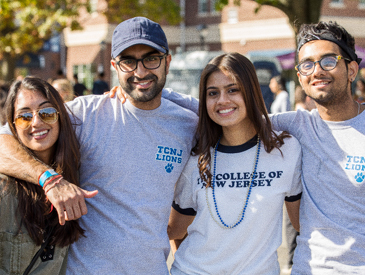 Get Ready for TCNJ Homecoming Spirit Week 2018! Please join us as we celebrate our 31st Homecoming Spirit Week at TCNJ!! This week of events has been established to bring the community together while demonstrating our campus’ student pride and involvement.